Quentin Tarantino is a movie buff, and knows his history, so when it came to choose a costume for The Bride’s revenge, of course, he looked to Bruce Lee for inspiration. 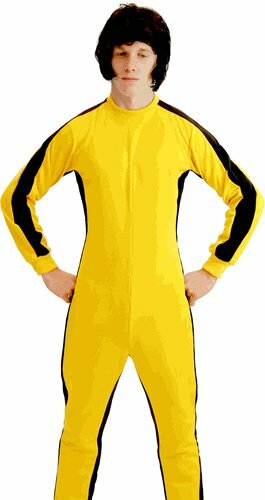 He came up with this amazing yellow jumpsuit, which Uma Thurman looked great in, and you will too. Get it!